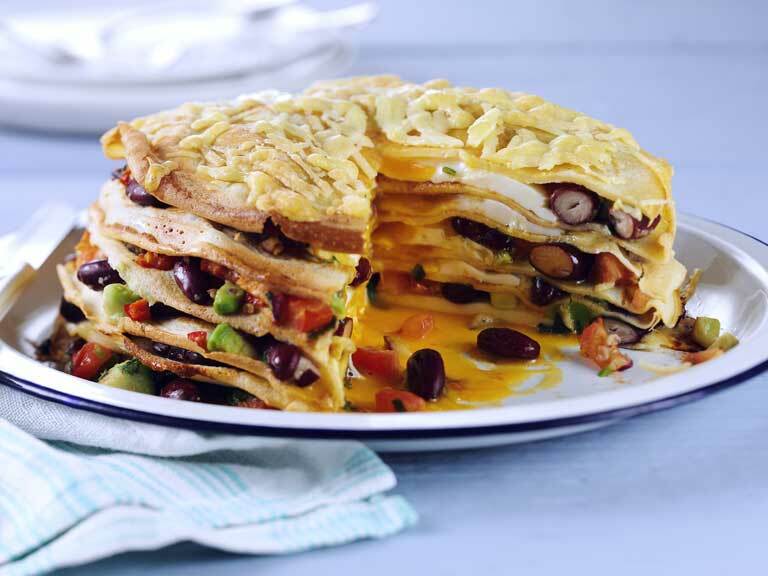 A pancake stack baked with layers of beans, chilli, avocado, cheese and egg. 8. Remove from the oven and leave to stand for 5 minutes, before serving it in wedges.